This is a super and very unusual pair of earrings. 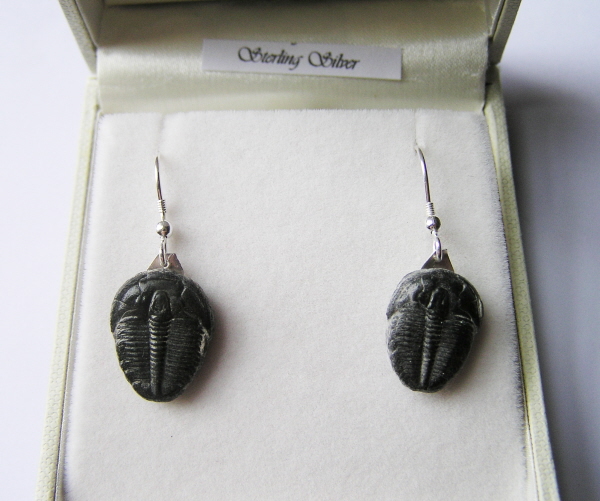 I have made them with 2 tiny but whole trilobites. Trilobites are amazing and very popular fossils and existed in thousands of different forms for over 300 million years! They ranged in size from tiny ones like these ones to trilobites over a foot across! Many people love them so much they collect Trilobites and nothing else! Boxed in a high quality jewellery box and complete with a signed full colour certificate of authenticity.